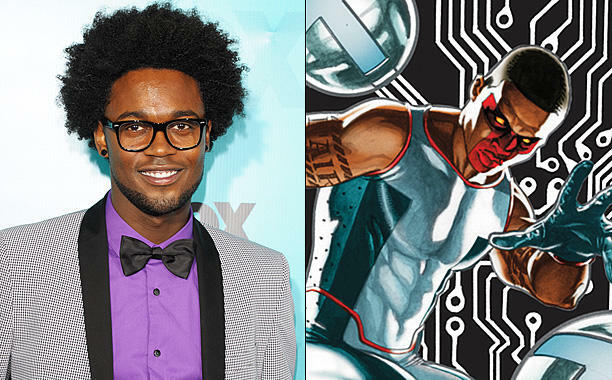 There are a lot of awesome POC DC superheroes, and one of our favorites is finally getting his due in the upcoming season of Arrow: Mr. Terrific. First, an overview. In the comics, Michael Holt is the superhero Mr. Terrific. But unlike Mr. Fantastic (who's not so much "fantastic" as "smart and stretchy"), Mr. Terrific really is terrific. Mr. Terrific is pretty much the peak of physical and mental abilities. Not only is he a gold medal winning Olympic athlete, he's described as the third smartest man on Earth in the DC Universe. He has fourteen Ph.D's (involving engineering, physics, law, psychology, chemistry, political science, and mathematics), and is a self-made multi-millionaire with advancements in nanotechnology. His greatest inventions are the T-spheres, autonomous floating metal spheres that are pretty much self-contained versions of Iron Man's armor: they can hack computers, fly, shoot electric bolts, project holograms, serve as weapons by exploding or smashing into things, and more. Entertainment Weekly announced that Echo Kellum (formerly Tommy in the sitcom Ben and Kate) has been cast as Mr. Terrific in season four of Arrow. Kellum will appear in the second episode of season four as Curtis Holt, described as "a technological savant and inventor who works at Palmer Technologies under the supervision of Felicity Smoak (Emily Bett Rickards)." No word on how closely his character will match the comic book version, but I hope they at least keep the T-spheres. I love those things. Are you looking forward to Mr. Terrific? 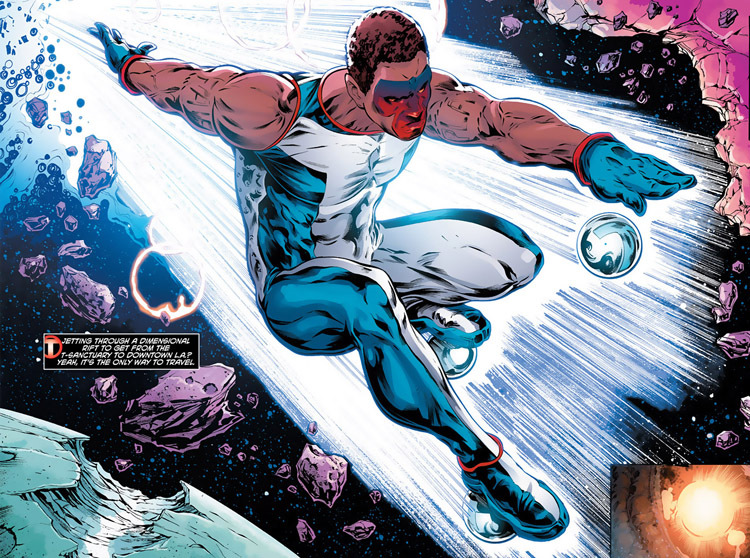 Mr Terrific was in Justice League Unlimited, but always seemed to be taking the place of Martian Manhunter in the Watchtower when J'onn was gone. I hope he has this same cool look. Team Arrow gets even bigger. Seems hard to believe there was a point where it was just Ollie and Diggle. He's also invisible to electronic monitoring devices. Good character that DC has had trouble distinguishing from his Justice Society roots. Got a short-lived ongoing series at the start of the New 52 era.